K-Designers: Are you ready for Fall? 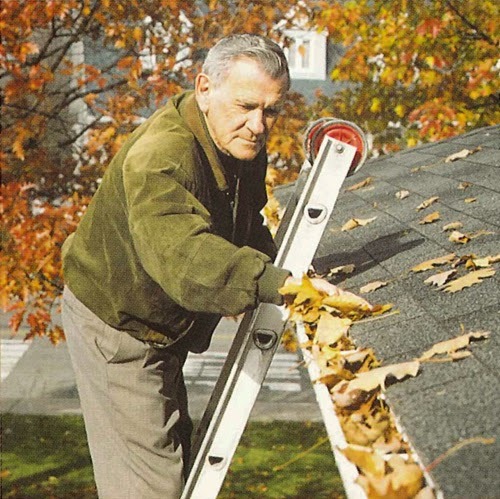 Now that the leaves are changing color and starting to sprinkle your lawn you might be thinking about those gutters you’ve been meaning to clean out. Aren’t you tired of cleaning out your gutters every year? Maybe you should consider a leaf guard system for you home. Gutters are meant to channel water off the roof and away from your home’s foundation. A clogged cutter can cause the water to spill over and pool eventually leading to a damaged foundation. Gutters are attached to your fascia boards. Overflowing gutters can cause excessive water contact leading to rotting of the fascia over time. Overflowing gutters can spill down at unexpected locations and directions. Any wood surface exposed to this excessive stream of water, like wood siding, will experience accelerated deterioration. Water overflowing from a clogged gutter can cause damage to any landscaping near your home. A continuous stream of water can flood or erode planting beds washing away your greenery or landscaping materials. So maybe this year is the year you forget about your gutters. If you have any questions about gutters or gutter leaf guards don’t hesitate to give K-Designers a call 800-728-3902 or visit us online at www.k-designers.com.